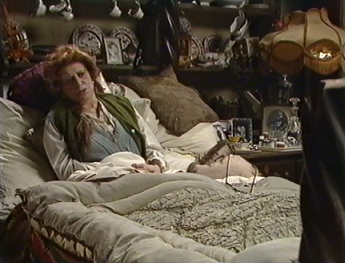 Nellie (Pat Phoenix) is weak and bedridden in her aging, decrepit house due to a bad heart. Living out of her front room, Nellie is looked after by her son Harold (Tom Bell) who is going deaf and prone to eccentric and emotional outbursts following a motorbike accident some years previous. Relations are tense and fractious between Nellie and Harold, a state of affairs which isn't helped by Nellie's affectionate recollections of her estranged son Stanley (Tom Georgeson) who left many years before, taking with him Nellie's savings. 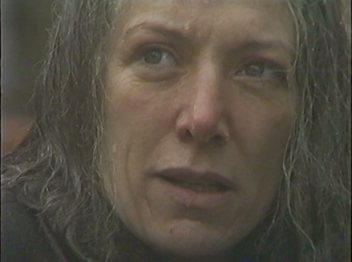 Meanwhile, Mrs Hargreaves (Victoria Fairbrother) has moved in across the road, but far from being a new neighbour, this is a return to the area for a grieving mother whose daughter Madeleine (Anna Manley) was found dead in the local woods 17 years ago. Harold, a talented pianist, had given Madeleine piano lessons before her death and now appears to be haunted, yet strangely obsessed with Mrs Hargreaves reappearance. Determined to emerge from the shadow of Nellie's constant dismissal as him as a mere nuisance in comparison to her beloved Stanley, Harold hatches a devious and unhinged plan which, crucially, will provide him with a twisted sense of redemption and justice. Hidden Talents was part of the Unnatural Causes produced by Central Television and aired on ITV in late 1986. 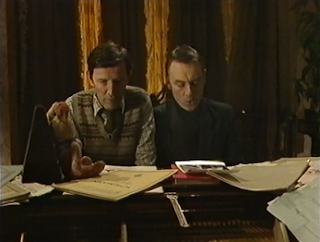 It was an anthology series which explored death and murder with writers and stars involved in the episodes including Nigel Kneale, Beryl Bainbridge, Prunella Scales and Warren Clarke. 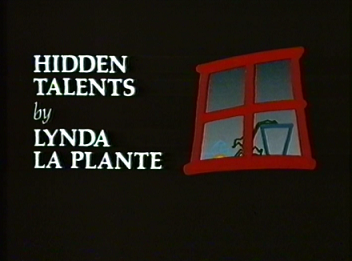 Lynda La Plante penned Hidden Talents and her husband Richard La Plante provided the music alongside James Simpson. Don Leaver who had previously directed The Avengers and would later collaborate with Lynda La Plante on Prime Suspect was positioned as the director on Hidden Talents. 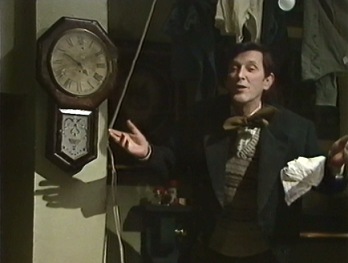 "The original script was called ‘Wait til the son shines Nellie’ and was performed as a stage play. I think it was the Network’s decision to group various plays together that had a similar theme. I was not really fully informed about the Unnatural Causes anthology"
Hidden Talents only aired once on terrestrial TV, but episodes from the Unnatural Causes anthology were later repeated on the cable channel Carlton Select. 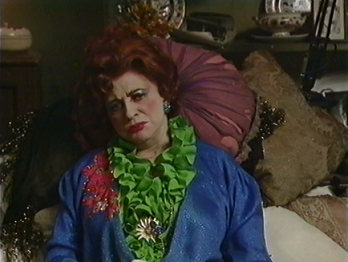 I was delving through a dusty set of VHS tapes when I stumbled across a Granada TV announcer declaring that the upcoming programme was the final performance by the legendary Pat Phoenix. Now, I'd never heard of Unnatural Causes, but, for some reason, I've always had a fascination with the final roles of television greats (see The Moon over Soho and Grundy). Seeing those final recorded moments of such talents is bittersweet, but fascinating as it provides one last chance to watch those recognisable stars flexing their acting muscles before the curtain descends. And this is why I had to watch Hidden Talents and bring it to the masses (well, however many people read this blog). A powerful and emotion-packed exploration of the disturbed psyches that humanity can find inflicted upon itself, Hidden Talents is quite, quite remarkable in its scope and storytelling. Exploring a myriad of themes, the main characters are all put through the emotional wringer as the narrative unfolds and uncomfortable truths bubble to the surface like a particularly unclean pan put back on the boil. "I wanted to write about the power of the mother figure and the effects she had on both of her sons, Stanley and Harold. She had harboured regrets for her own lack of talent and kept deadly secrets about her sons"
Nellie is a woman whose entire life is packed full of regret. Drinking from a crystal glass given to her by her mother in law, Nellie recalls how she had a promising future in acting, but this dream was dashed when she became pregnant. Her world view soured by this, Nellie's life appears riddled with bitterness. And yet her son Stanley appears to be the one shining light she is still desperately holding onto, all this despite his sudden disappearance and theft of her savings. It's a disturbing obsession, one which finds Nellie celebrating Stanley's well endowed form and even saying she would have been tempted had he not been her son. 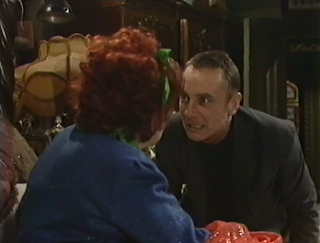 Harold, of course, has clearly been subjected to a life of misfortune which has led to mental health problems, but these have been exaggerated and accelerated by Nellie's maternal disinterest. With Nellie taping his mouth shut when the police came to call to discuss Madeleine's disappearance and death, it's no surprise that Harold teeters precariously on the edge of sanity even without his motorbike accident. Stanley, built up as a magnificent, charming individual by Nellie, is, in fact, following his reappearance, a guarded individual. Sure, there's a handsome, suave charm about him (in sharp contrast to Harold's shabby form), but it feels as though the engaging personality that he once possessed has been snuffed out long ago. Something is clearly troubling him upon his return and there's a nagging sense that perhaps he should have stayed away, removed from the past and whatever problems are entrenched in it. 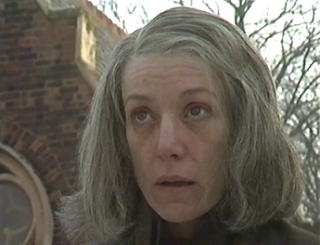 The final character involved in Hidden Talents is Mrs Hargreaves who we only ever glimpse as a grey haired, mournful, almost ghostlike apparition haunting the streets and, more importantly, the mindsets of Harold and Stanley. She provides an unsettling, distressing backbone to Hidden Talents that really ratchets up the emotional impact of the narrative. And all of these characters are played with absolute aplomb by the actors involved. Phoenix, despite her ill health, delivers a tour de force performance which draws from her tremendous wealth of talent. It's difficult to imagine a finer way for an actress to sign off and should surely be held up as a masterclass in range. 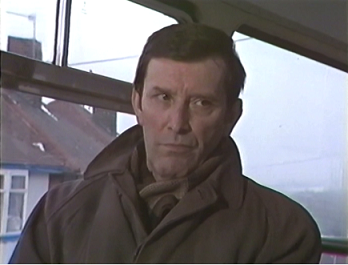 Tom Bell is just as amazing in his role as Harold which calls for a level of mental imbalance that is disturbingly realistic and takes in an astonishing ability to flit between differing emotions with complete ease. "Pat Phoneix was a joy to work with. She was very keen to play a role that showed her acting talents and was completely different from her famous character in Coronation Street. 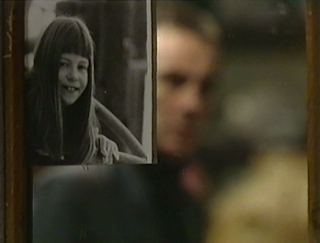 It was a such a fantastic experience to watch her interact with the wonderful Tom Bell, and was a wonderful demonstration of their respective talents"
Tom Georgeson has a difficult role to play, having to combine a sense of deception with an eventual realisation that he's clearly at the mercy of Harold's plan for revenge. And, ultimately, he quite literally breaks Nellie's heart. There's a brooding, cagey nature running through Stanley's veins as he arrives within the play, but Georgeson slowly dismantles this into a dramatic, emotional meltdown as Hidden Talents concludes. Victoria Fairbrother may be used sparingly, but the chilling impact that her haunted hollow eyes brings to Hidden Talents is compelling, so, when she finds a brief moment of joy at the play's conclusion, it's devastatingly effective. Lynda La Plante's script, of course, fuels all of the actors' brilliance and it's a script which is ingeniously plotted and constructed to hold all of its themes of regret, loyalty and family up to the light with a disturbingly grim clarity. Slowly letting the script breathe with long pauses between snatches of dialogue, La Plante teases out the individual plot strands without ever letting too much away until the dramatic reveals. It's a relatively early script from La Plante, but hints at the indelible impact she would make on British television. Bringing the script to life is Don Leaver's marvellous direction which, although it may appear simple, actually reflects the uncomfortable, almost nightmarish feel of La Plante's script. The set is dark and dilapidated which perfectly encapsulates the fortunes and mindsets of the central characters. Nellie's house feels as though, much like her, it's on its last legs and any sense of hope departed its aging walls long ago. "He was a very encouraging and dedicated professional. He believed it was important to direct the script as written and not to, as in so many instances, attempt to rewrite the script or add his own interpretation. He always listened and gave great encouragement to us all. 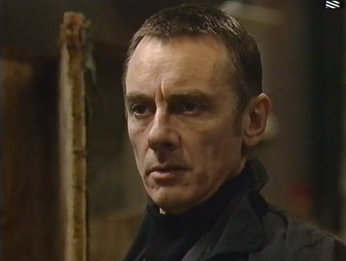 I will be eternally grateful to have had the privilege and experience of working alongside him"
This feeling of uneasiness is given further strength by Richard La Plante's recurring piano theme which echoes throughout the episode to underline the sense of regret on offer. A fantastic slice of dark and disturbing television which explores familial themes that many people would rather brush to the side, Hidden Talents is a testament to the talent involved with the play. Pat Phoenix couldn't have asked for a finer send off and, as it aired, it must have reminded the world of what an inimitable talent it had just lost. Thank you so much - this is invaluable! This is as part of a collection of three plays by Nigel Kneale, one of the first titles in Network's new 'Television's Forgotten Dramas' range - https://forgottentelevisiondrama.wordpress.com/2017/04/25/forgotten-tv-drama-dvd-range-launched-in-association-with-network-distributing-ltd/ I'm currently writing the booklet for it! Only earlier I was thinking "I'd love to see the Nigel Kneale episode" so this is fantastic news! Thanks for the tip off, Billy! It's well worth a watch. Easily one of my most interesting uploads. Really pleased you made this avaliable to watch, this whole television play strand really hits the mark in it's mission to be twisted and disturbing. It's unlike a lot of others of it's kin and an example that ITV could do what the BBC did when it wanted to. Unnatural Causes clearly deserves a D.V.D release, when I see some of the things that have been put out on D.V.D from British television it leaves me confused and disapointed.